It all started in October 1990 with a group of seven or eight members and one mat. By the September of 1991, with 14 members and another mat, the Club joined the Taunton league, starting in 2nd division. In the 1994/5 season they reached the 1st division and finished runners up in that first year. Over the years many trophies have been won, one by Norman Daley in 1997/8 season was the Champion of Champions, a contest between all the individual club champions in the Somerset league. Five club members have played for Somerset. 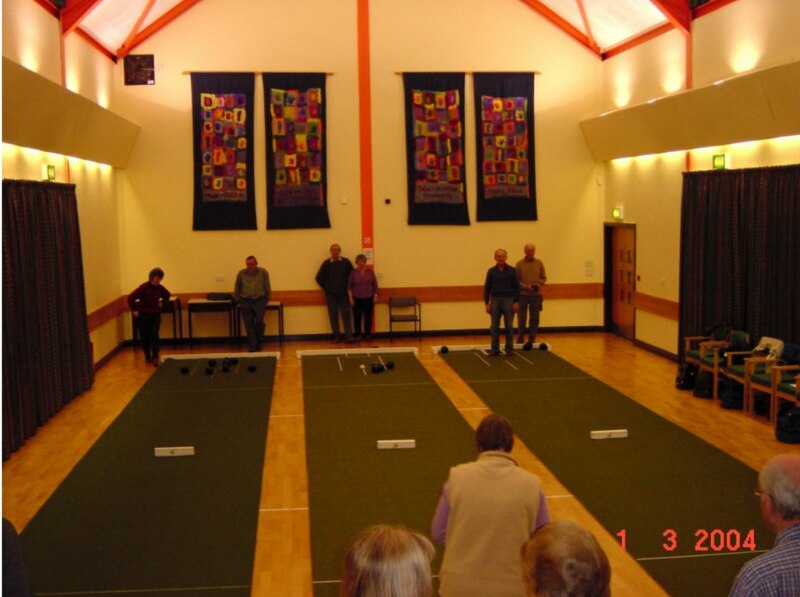 In September 2003 the Club moved to the new hall and also back into division 2. Legend has it that the new flat floor is responsible for this slip! There are now 28 members and three mats. So if you don’t fancy TV on a Monday and want some excitement and a good laugh in congenial company, come along and have a go – you might enjoy it!